This is a practical course for those who want to develop their confidence on a bicycle. We're currently looking to increase the number of opportunities for adults to develop their cycling skills in Angus, Dundee, Stirling and Perth & Kinross areas. Those would involve group and 1-2-1 sessions to help you improve your cycling skills and confidence on the road. Available throughout March to June, free of charge. You don’t need any specific skills other than the desire to be more confident on your bicycle. The course provides you with the necessary skills to negotiate on road journeys. 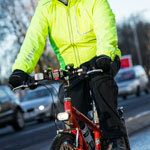 The course covers the following: bike handling, cycling with confidence on the road and roadside repairs. This is usually a 2-3 hour session. You will need access to a bicycle in working order and clothes appropriate for the weather. The course costs £20 per person. 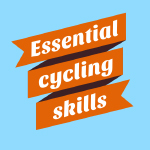 Once you have completed Essential Cycling Skills you should have improved confidence to make everyday trips by bike. You may be inspired to complete some of our other training courses to develop as a leader or instructor.